Congrats on your 800th career NHL point Hank! Congrats on the 800th point Hank! Tortorella is better than AV for one major reason. He changes the lines up. AV was always too scared to split the Sedins. Way to go Kes and Higgins! not pretty but a wins a win!! thankyou Torts for having some balls! Right on, boys! I appreciate that we didn't sit back with the 2-2 tie and play for the single point. 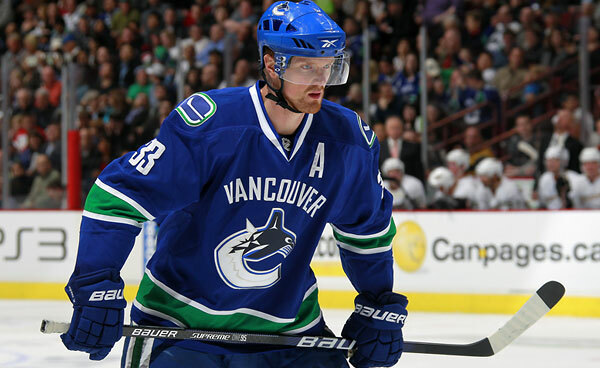 Keep the Sedins split up please. Now who were saying we should trade Kesler?! Kesler and Higgins were criticized, Kesler was in trade proposals. I wonder what those people have to say now? Nice to see the Canucks persevere and pull off a win. Kesler! Great to see kass scrap!! Refs! Scrubs!!! Oh and Torts with another huge pay off coaching decision. This is what we need from him. Hard working comeback and some great defensive play in the 3rd. I'm loving Higgins' hard work. Tanev continues to impress me as well.